This tutorial offers an introduction to the fundamentals of working with Pool Studio. 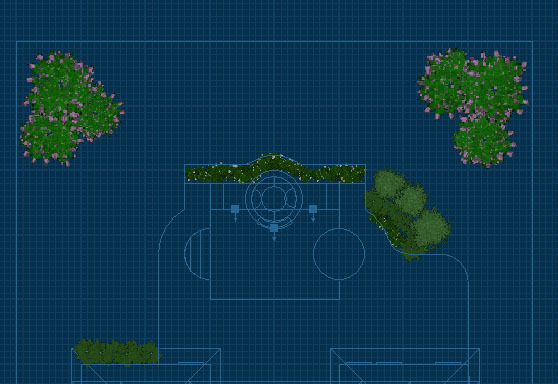 By the end of this tutorial, you will have created a custom house shape, a basic pool with a spa, steps, a bench, raised areas and planters, as well as a fully landscaped backyard complete with yard accessories. It is recommended that you read and understand the Getting Started and Creating Your Scene sections of the this help system before attempting this tutorial. If you want to follow along with this tutorial in a separate window, click here. Note: Feel free to save your project at any time during this tutorial. It is generally a good idea to get into the habit of saving often as you work on projects. Start Pool Studio. Select New Design from the Main Menu. The first stage is Project Information. Complete the text fields in the Panel by single-clicking on each field with the left mouse button and then using the keyboard to enter text. This data will be used in the Presentation Mode. When you have entered text in all the fields, position the cursor at the top of the Panel and single-click “Next Stage” using the left mouse button. In Stage 2, you may create houses and structures for your project. 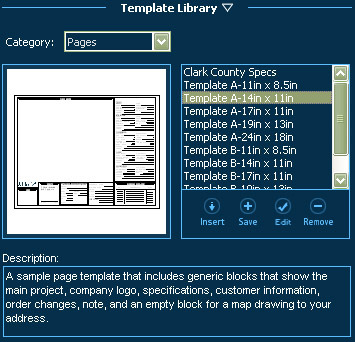 You may insert a template from the library, or use the drawing tools to create a custom house. In this tutorial, we will draw a custom house. 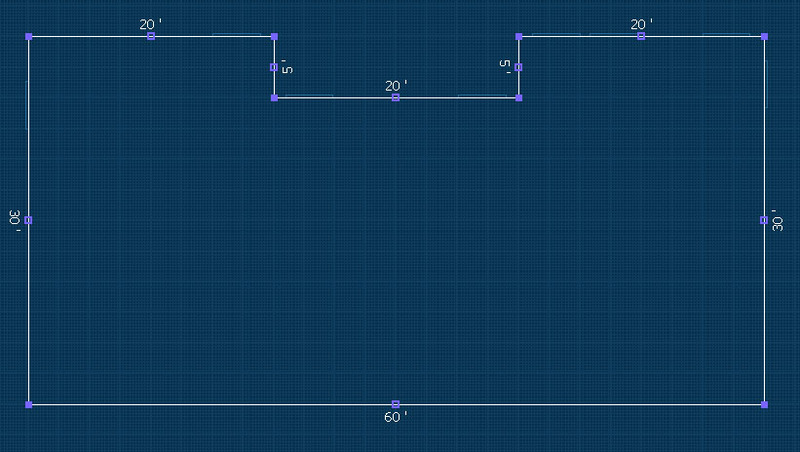 Activate the Line Tool and draw a house shape with the dimensions shown below. Note: Only complete shapes will show up in 3D. For a shape to be complete, it must start and end at the same point. When drawing make sure all your shapes start and end at the same point without any breaks. Shapes that are incomplete will not show up in the 3D view of in the Presentation Mode. The Library is located in the Panel. Go to the Library and select the Design Tab and the House Decor Category. This category contains doors and windows we will use to decorate the house. You may select an item by left clicking on its picture. Once you have selected the item you want to place, click on the Insert One button and move your cursor into your drawing space, as the cursor gets close to the house, you will notice that it snaps to the line of the house, conforming to its shape. Left-click to place the item on the house. 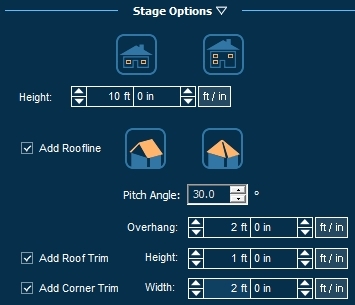 Add a roof to the house by clicking the Add Roofline check box located under Stage Options. This will automatically create a roof based on the dimensions of the house. The other controls allow you to adjust the roof style, angle, overhang and trim. Preview the scene in 3D by positioning the cursor at the top of the viewport and single-clicking on “3D” using the left mouse button. 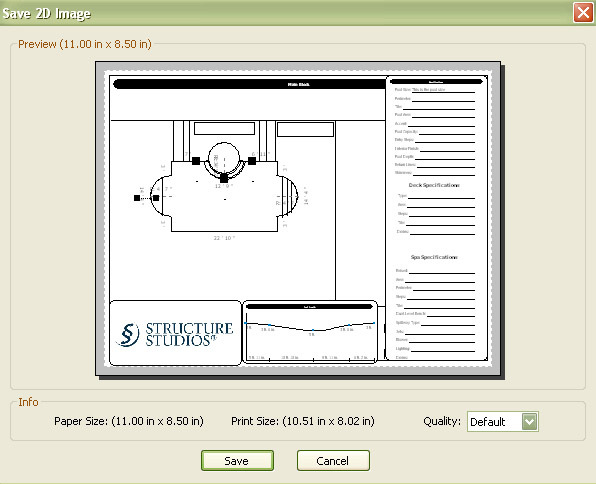 Adjust the 3D view as described in the Pool Studio layout section of Getting Started. The house will be displayed with a default material (a different material may be applied later). Go back to 2D by pressing the 2D button at the top of the screen. Press Next Stage. 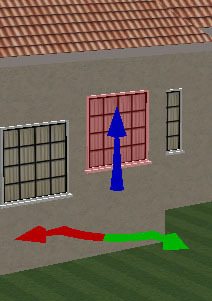 Using the Line Tool, draw the property line around the house as shown below. Preview the house and the property line in the 3D viewport just as you did with the house. The property line is represented with a wall. You can choose to replace the wall with a fence, as well as set the height and width. For now, leave the wall type as it is, and then single-click “Next Stage”. In the top view, create one slope point on the back edge of the property line and a second slope point approximately 9 ft from the first point towards the house. In the bottom view elevate the first point to 2ft and keep the second point at 0ft. Switch to the 3d view to check the slope. The Yard Slope line and slope points may be adjusted by using the controls under Parameters. Here points can be moved, added, or removed. 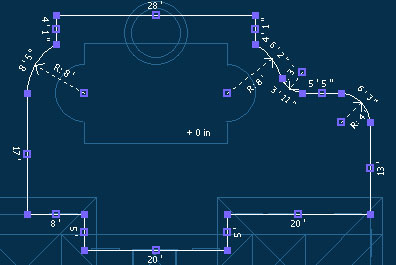 We shall now draw the pool shape using the line and arc tools. Activate the Line Tool and start with the straight segment of the shape to the left. 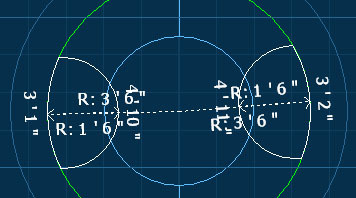 Now select the Arc Tool and move the mouse such that it creates a dotted circle with a radius of 4 feet. 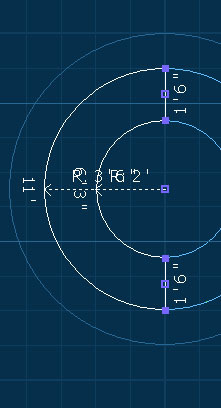 Single-click the left mouse button to set the radius of the circle. 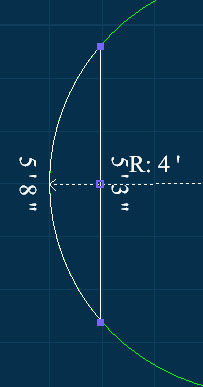 Trace the circle with the mouse to draw the arc, and then single-click the left mouse button to confirm the arc. Change back to the Line tool and continue with the straight segments. 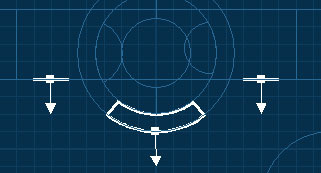 Use the arc tool again to draw the second arc and use the line tool to complete the shape where you started. You can preview your pool in the 3D viewport. The pool will have a default tile and interior finish assigned to it. Changing these surfaces will be described later in the tutorial. To return to the 2D viewport, single-click on the “2D” button at the top. Before we move to the next stage, we will add coping to our pool. Under Stage Options select Add Coping and set a Coping Width of 1 foot. Check the box to Add Tile at the Water Line and select the Round Lip Style. This will add coping and a tile line to our pool. We can preview this in 3D. The coping and tile line will have a default material we can change later. Now proceed to the next stage. Next we shall draw a spa using just the arc tool. 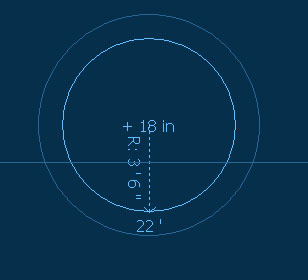 Select the Arc Tool and move the mouse such that it creates a dotted circle with a radius of 3 feet 6 inches. 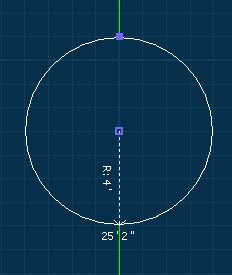 Single-click the left mouse button to set the radius of the circle. 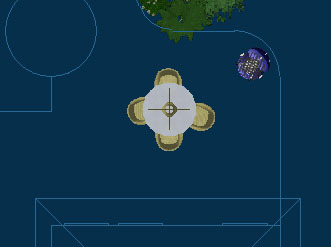 Trace the circle with the mouse to draw the spa, and then single-click the left mouse button to confirm the spa. At the Stage Options section of the Panel, you can adjust the height and depth. We shall now add a deck to the project. In order to properly show height, we will be drawing the deck in several parts. When finished the decks will appear as shown on the left. We shall use the Outline, Line, and Arc tools to draw the decks. The Deck stage also allows you to give each shape a height above and below zero. This is how you would create a raised step or raised beam. First use the Outline tool and select the Pool. Offset the outline 4 feet and trace the shape shown to the left. Now use the Line tool and draw the deck to the house. At the house you will switch to the Outline tool again and use the shape of the house. 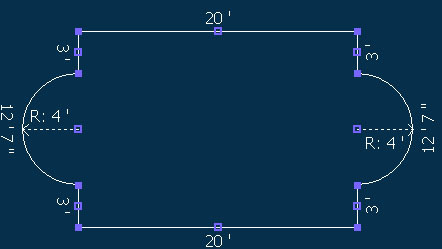 Use the Outline tool on the house and do not offset the line. Trace the edge of the house to the other side of the deck. Use the Line tool and the Arc tool to complete the deck. When finished it will appear as shown to the left. We shall now build steps leading into the spa. Use the Outline tool and the Line tool to draw the two decks shown on the left. To change the deck height, select the deck with the Move tool. While the deck is highlighted and the endpoints are visible, change the deck height under Stage Options. Using this method, give each deck a height of 6 inches. 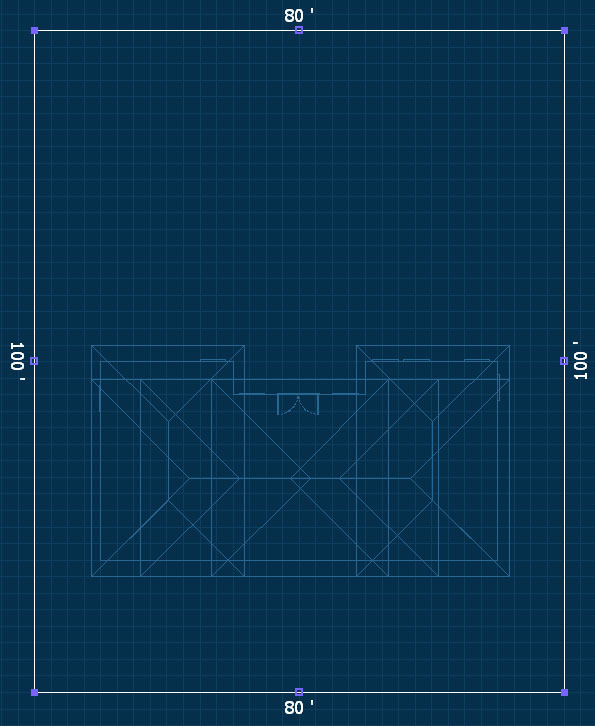 Now with the Outline tool, draw the final deck as shown to the left and give it a height of 12 inches. Now preview the scene in 3D, the deck will have a default material assigned to it. Changing the material of the deck will be described later in the tutorial. Proceed to the next stage. We will now be drawing steps and benches in the pool and the spa. It is often helpful to make sure your grid is turned off by clicking on the Grid button above the viewport and selecting Off. Use the Zoom tool to focus in on the areas we will be working on. 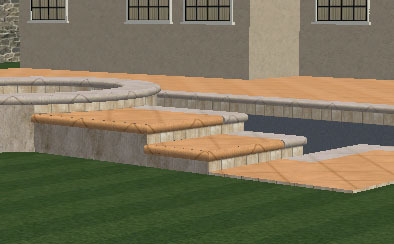 When finished, the pool and spa will have the steps and benches shown to the left. We will start with the pool steps on the left side of the pool. 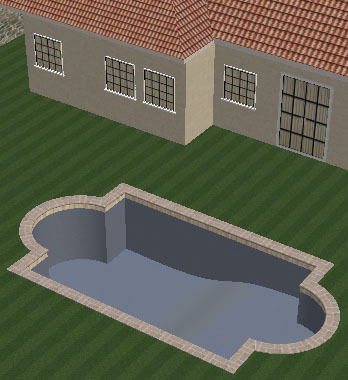 Select the Outline Tool and select the pool as the parent shape. 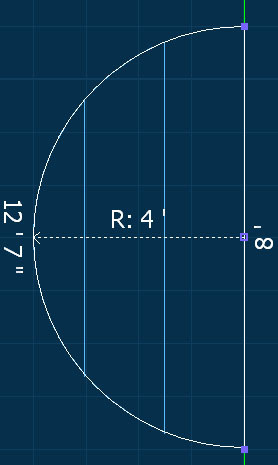 Because the line you just drew meets the parent shape, the Outline Tool should inherit an offset distance of zero. Trace the curve of the pool to meet the starting point of the line. Select the Line Tool and draw a line similar to the image shown to the left. This will be the outer edge of step. This shape is the first step of the pool. 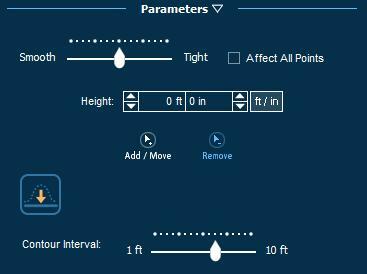 Set the depth of the step to 1 foot by selecting the step with the move tool and setting the depth under Stage Options. 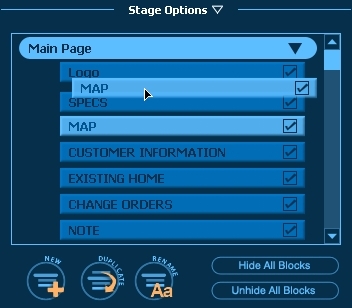 Make sure that the Link To option under Stage Options is set to Pool or the step will not show up properly. Draw the second step as the first one, using the dimensions shown to the left. Set its depth at 2 feet. Draw the third step and give it a depth of 3 feet. Now we shall draw a bench in the arc on the right side of the pool. 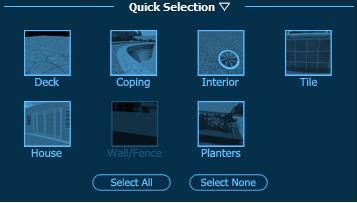 Select the Pool with the Outline tool and left click for an offset of 0. Trace the arc and continue into a complete circle. Under Stage Options set the depth of the bench to 1 foot. Next we shall work on the steps and benches in the spa. 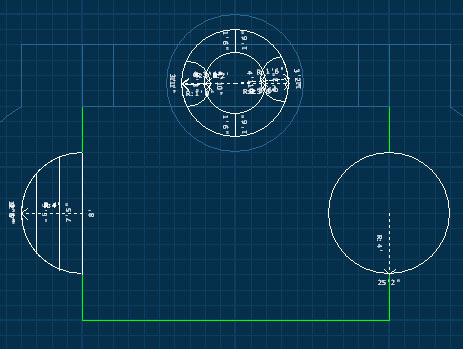 In order to draw a round bench circling the entire spa, we must draw it in two horseshoe shaped parts. 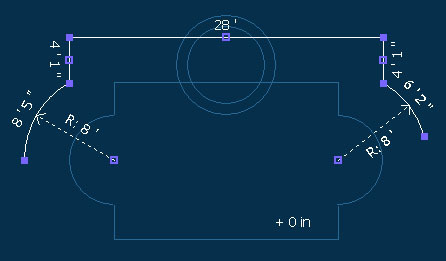 Select the spa with the outline tool, trace the shape of the spa to draw the larger outer arc. 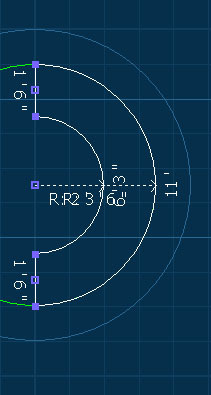 Use the Line tool and then the Arc tool to draw the smaller inner arc, finish with the Line tool. Set the bench depth to 2 feet and make sure Link To is set to Spa, not Pool. Draw the other half of the bench as above. Now finish the spa with the two steps shown to the left. Set their depth at 1 foot. Now preview the scene in 3D. If any of the steps and benches are not showing up properly, check the Depth and Link To setting under Stage Options. 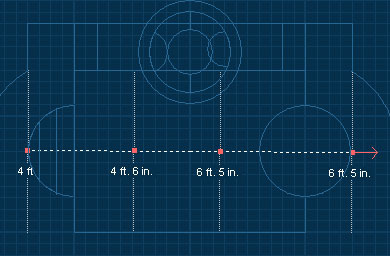 By default, the pool simply starts at 3 feet and ends at a depth of 6 feet. Our desired pool depth is shown to the left. The pool depth is changed by adding and moving points in the bottom view. With the Move tool, single left click on the depth profile line and add two new points as shown below. Now move the points to adjust them to the depths shown below. 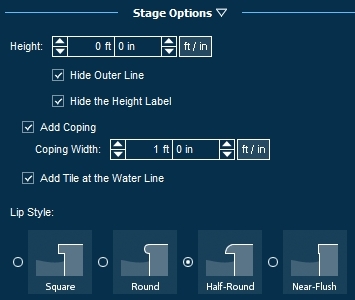 You may adjust the style of the pool depth under Stage Options. Use the Outline tool to trace the edge of the deck. 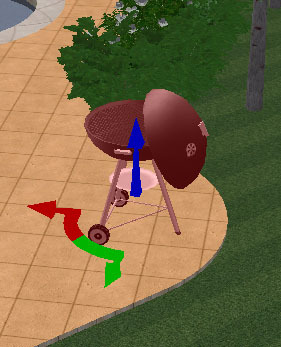 Use the Line and Arc tools to complete the Planter shown on the left. Preview the Planter in 3D. 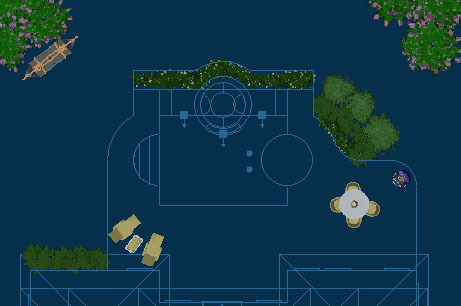 In this stage, you are going to add some water features to your design. 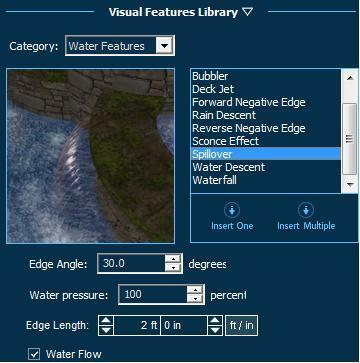 Select the Spillover from the water features library. Click on the Insert One button and move your cursor to the viewport. Move the spillover over the spa and notice how it snaps to the shape of the spa. 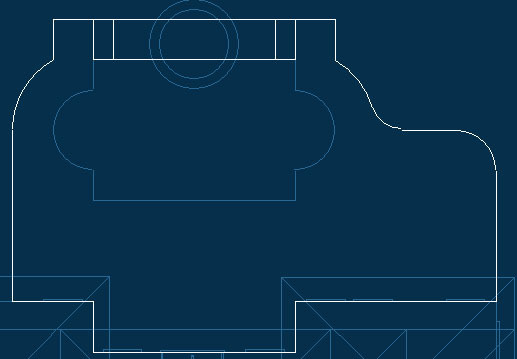 Using the Edge Length control in the Visual Features Library, you can increase the size of the spillover so that it forms along more of the spa shape. Now add two Water Descent features as shown to the left. You will be able to see the effect of the water features in the 3d view. The custom shape stage allows you create upright arcs, ramps, and sloped objects. We will not use this stage in this tutorial. In the Materials Stage, you have the ability to apply any material to any surface. To do so, a surface in your 3D view must be selected first. 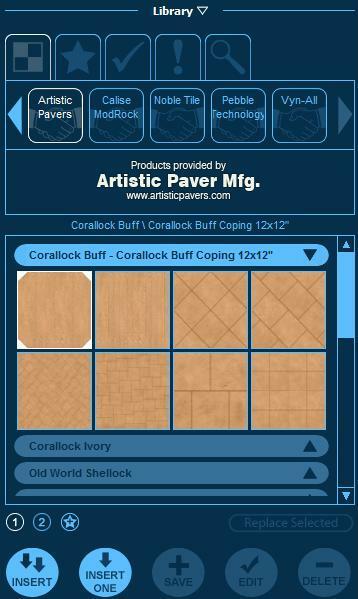 To select a surface, you can use the Quick Selection panel area at the top to quickly select all of a particular category of surfaces. If you wish to customize your materials, use your cursor to double-click the left mouse button on the surface you wish to change. This surface will highlight in red, indicating it is selected. If a Quick Selection button is not highlighted, your project does not containing any of that surface type, or your view is in 2D. To select more than one surface at a time, hold down the CTRL button on your keyboard and left-click once on each additional surface. 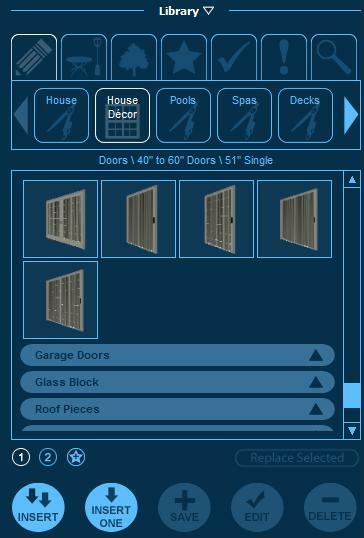 At any time, you can cancel your selection by either clicking the Reset button at the top of your 3D view, or using the Select None button in the panel. The Materials Tab in the Library contains a row of Category buttons. Left clicking on a Category button will bring up pictures of the materials organized by type. Materials under the Materials Tab may be selected by left clicking on the material picture. The materials may be applied by double left clicking on the picture or using the Insert or Insert One buttons below. The customize materials stage allows you to create custom materials by editing the materials in the library and by importing graphic files into the program. We will not use this stage in this tutorial. We shall now decorate the yard with Plants and Trees. 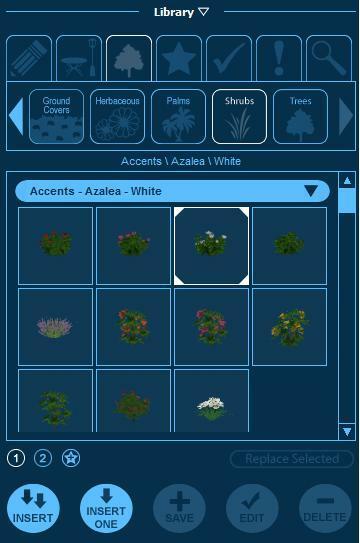 Go to the Library and select the Landscaping Tab, the Shrubs category, and the Accents group. Select the Azalea Indica – White from the list. Now click once on the Insert button. Now fill the planter we drew earlier with the flowers. Each time you left click a different variation of the flower will be placed creating a natural look. Fill the planter with a fair amount of flowers. Once you are finished select the move tool to cancel the Insert command. Now choose some other trees and plants to fill the yard. Place them as shown above. As you can see Plants and Trees may be placed anywhere in the design. Now let us complete the yard with Yard Accessories. For the first item, we will use the Library. 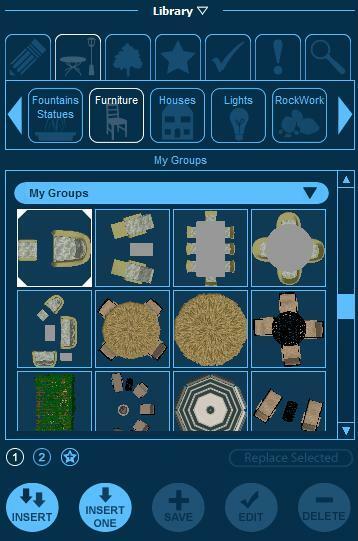 Select the Loom Round Dinning Set located in the My Groups under the Furniture Category in the Design Tab. Now click once on the Insert One button. Now place the Loom Round Dinning Set between the house and the pool as shown to the left. Choose some other Yard Accessories from the Library and place them around the yard as shown to the left. Preview your design in 3D. Adjust the 3D view as described in the Pool Studio layout section of Getting Started. Most Yard Accessories will need to be moved in 3D to be placed properly in the scene. For more information see Editing the Objects. In this stage, you will see the same Project Information fields from the beginning of the project. This allows you to enter any details you may want to change or fill in. These details are used for the presentation of your project. Once you have the information entered, click on the Create Presentation button. In this stage, you will prepare build ready plans for printing. 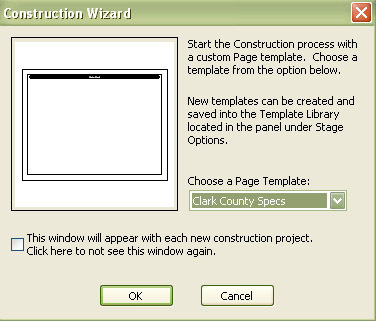 When you first enter the Construction Stage, the Construction Wizards will allow you to select a preset Page Template. Please select Template A- 11in x 8.5in. Every Page is made up of several blocks. We are going to edit the Customer Information block. Left click once on the Customer Information tab in the block list shown to the left to select the Customer Information Block. Now use the mouse to zoom in on the selected block. Fill in the lines by double left clicking on them and typing in the information on the keyboard. New elements may be added to a plan from the Template Library. Congratulations, you have successfully completed your first Pool Studio project. 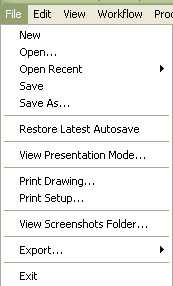 If you have not already, please save your design now for future use by selecting Save from the File menu. If you have any further questions, or would like to sign up for one of our Fundamentals or Advanced online training classes, please contact us. By phone at 800.778.8996 or 702.433.0274. Online at www.StructureStudios.com and support@structurestudios.com.